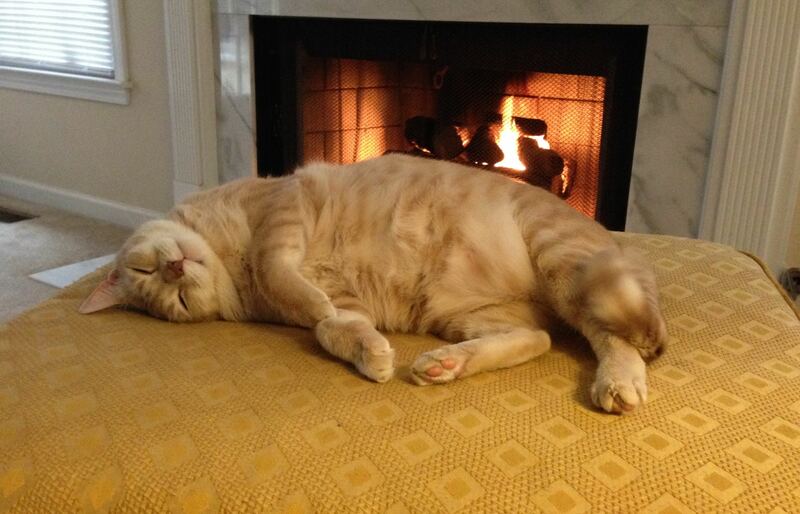 My cat, Peanut, obviously doesn’t worry about much. In our culture today, greed, like pride, has become a “respectable” kind of sin, which we too easily tolerate. In today’s scripture, however, Jesus tells us that this sin, far from being respectable, is so harmful that it has the power to distort the way we see everything else in life. It prevents us from loving our neighbor the way we should. In this sermon, I share a couple of specific things we can do to free ourselves from enslavement to money and possessions. This is the second of three sermons on stewardship. Audio-only this week. Click the play button below or right-click here to download audio file. In the news last week, we learned that Robert Plant, the former lead singer of Led Zeppelin, turned down a contract from business mogul Richard Branson that would have paid him and the two surviving members of the band around $300 million to reunite and tour. That’s a lot of money to turn down, isn’t it? If I were Robert Plant’s pastor, I would give him some advice. And I would love to be Robert Plant’s pastor, especially if he tithes. But I would tell him that our Lord might be calling him to bury the hatchet with his former bandmates, to go on tour for a few months, and make $300 million. I offered this homily at last night’s church council meeting. Enjoy! It follows up on last Sunday’s sermon and ties into our stewardship campaign. 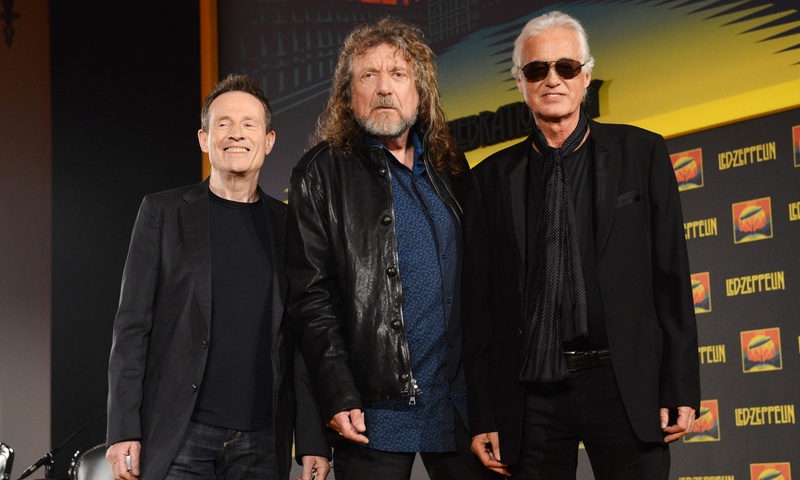 John Paul Jones, Robert Plant, and Jimmy Page, surviving members of Led Zeppelin, from 2012. Fresh on the heels of my sermon last Sunday about work, we get word from Fox News, CNN, and other news outlets this week that Robert Plant, the former lead singer of Led Zeppelin, turned down a contract offered by business tycoon Richard Branson that would have paid him and the two surviving members of the band around $300 million to reunite and tour. The other two members signed on immediately; Plant reportedly took a couple of days to think about it, then ripped up the contract and said no. Plant calls the news report rubbish. And maybe it is, although I’m confident that the band could make something like that much if they did reunite. The problem with saying, “He doesn’t need the money,” is that one’s acceptance or rejection of a job shouldn’t simply be about whether we need the money—at least for those of us who are Christians. See, if this report is true, and I were Robert Plant’s pastor—and you can tell Robert Plant I would be happy to be his pastor, so long as he tithes!—I would tell him that our Lord might be calling him to let Richard Branson pay him the money to tour the world; that the Lord might be calling him to set aside his differences and tolerate his former bandmates for a few months in order to play this music that he already loves playing; that the Lord might be calling him, in other words, to make $300 million. I’m just being a good Methodist. John Wesley, our movement’s founder, had three rules about money. Remember what they were? One: Make as much of it as you can—so long as you’re not hurting anyone by doing so. Two: Save all you can—by which he didn’t mean save for a rainy day or invest in a 401K or sock it away in a trust fund for your kids to inherit, he meant “save” as in be thrifty with it, be wise in handling it; don’t get ripped off; don’t over-pay for things. So you make all you can and save all you can… For what reason? So you can… Give all you can! And since in my fantasy Robert Plant is a member of HUMC, I would also tell him something like this: “I know you don’t need the money, but you know who does? The Griffiths family. Think of all the wells they could dig and water they could purify with only a small fraction of that $300 million! Think of how many of our youth—and youth who aren’t even members of the church—could go to Mexico next year on that short-term mission trip with only a small fraction of that $300 million! Think of what we could afford to pay our already overworked staff—and even hire more staff—with only a tiny fraction of that $300 million! Think of the help we could extend to United Methodist relief agencies like UMCOR who are working to help people rebuild after natural disasters; think of how our denomination could use use a small fraction of that $300 million to help eradicate Ebola, malaria, and water-borne diseases. Think of the lives that could be saved! “So do you see, Robert”—since I’m his pastor, maybe I would call him “Bob”?—“So you see, Bob, your job isn’t just about you. You have an opportunity to bless and love so many other people through your good work. 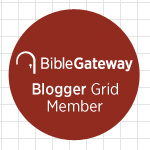 Well, even that’s not quite right: God wants to bless and love so many other people thorough you and your good work. Because, please remember, God gave you your gifts for music; God put you in a position to be a successful rock star; and who knows whether you have not come to this kingdom of rock superstardom—which provides for you the luxury of making $300 million for doing something that nearly any 20-year-old musician sweating it out on a barroom stage would dream of doing practically for free—who knows whether you haven’t reached this place for such a time as this? That’s a question that we can all ask ourselves as we think about the financial commitment that the church will be asking each of us to make in a couple of weeks.